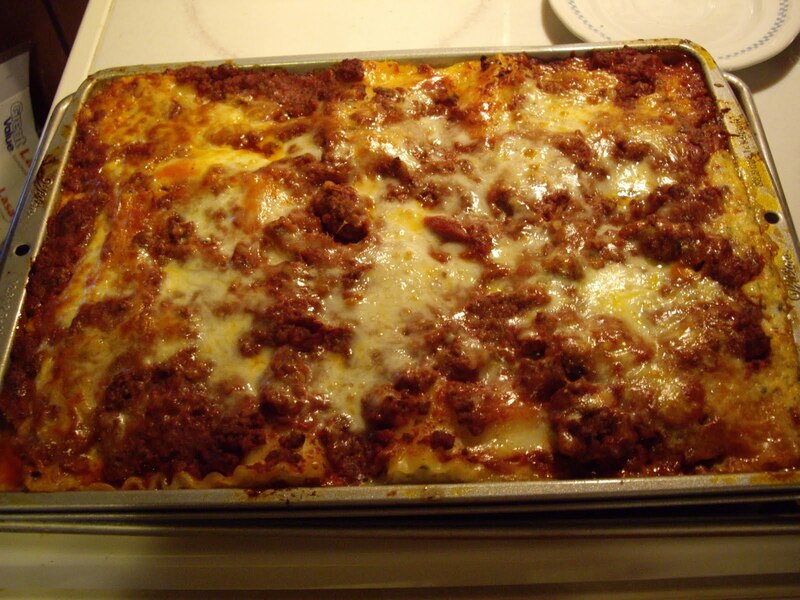 This lasagna is so good. Very filling too. If it is too much for one meal, it heats up well for leftovers. You can even freeze what’s left for another meal down the road. You will need a 9″x13″ pan. This meal will take 3 to 3-1/2 hours from start to finish so allow that much time. In a 3 quart saucepan cook the meats together until done. Drain. Add the tomato sauce, tomato paste,garlic powder OR cloves, sugar, Italian seasoning, salt, and pepper. Simmer over low heat for 1 hour. In a bowl, mix the cottage cheese, eggs, ricotta cheese, Parmesan cheese, and parsley. Cook the noodles. Drain and rinse to cool and so they won’t stick together. Put 1 cup meat sauce in the bottom of the baking pan. Spread it out as best as you can. the rest of the mozzarella cheese. The dish will be super full. Cover the dish with foil. Bake for 50 minutes. Uncover. Bake 20 more minutes. Take out of oven and let stand 15 minutes before serving. I LOVE LASAGNA! SUCH A GREAT BLENDING OF FLAVOR NOT TO MENTION GOES GREAT AT EVERY MEAL!! !